Dedicated or regional out of school in the Tampa area? I moved from NYC to Tampa about a year and a half ago. My initial plan was to get my CDL-A and get working asap but being as its just my wife and I, she was not too happy with me being away from home for weeks at a time, nor was I. I instead got a job doing internet sales for a luxury car dealership. I’ve been there for over a year now but I’m not happy. I still have the passion to drive the big rigs but not OTR. 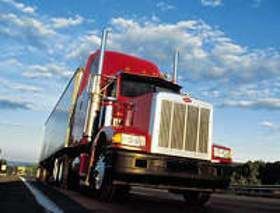 There is a trucking school called Tampa Truck Driving School that has great reviews. I will be paying my own way as I want the freedom of choosing who I want to work for and not have to be locked into a contract with any particular company. No offense, but I dont trust any trucking school to be honest with you about employment opportunities post graduation. It’s a business like everything else and they will tell you want you want to hear in order to get you to enroll. Before I go thru with it, I would like some advice from some of you here about my chances of landing a local, dedicated or regional route right out of school? If anyone here knows of any companies in the Tampa area hiring right out of school, your tips will be much appreciated. My background is squeaky clean and so is my driving record. I have 14yrs of verifiable work history with no gaps in employment, as well as a perfect driving record with 0 points, accidents, etc..
That I-80 video that was posted from Wyoming really shook me up. Am i the only one that didn't see any brake lights on any of those trucks? If money is not an issue, your Wife is a professional and gonna pick up a high paying job, why not just buy an RV and go where you want, when you want? I mean, hell, get yourself a pickup truck and haul RV trailers back and forth to Indiana. I don't know. It just sounds...odd. It's not quite the same when you live in the place you've only gone to vacation. Who said I'm "flush with cash". Certainly I didnt. Being able to pay upfront for CDL school rather than a free ride with a sponsor company is far from what I would call "being flush with cash". Thanks for all the advice. I'll do some more research before I make my final decision. I'm scheduled to enroll in Tampa Truck Driving School on 1/9 and have a prehire by Stevens Transport. Upon further review, I see that Stevens while a solid training company, offers lower than average training pay ($350/wk) and starting pay (26cpm). Although I know first year's pay isn't really what to focus on, I will be making a move at the end of the month from NYC to Tampa and going a year without decent income will effect me financially. I spoke to a recruit at Prime and she told me that if all my info is as I claim, they should have no problem getting me into their program which offers much better training pay along with better starting cpm. My dilemma is this... I'm moving with my wife to Tampa. Obtaining my CDL-A is something that I've always wanted to do and given Florida's low wages, its something I can do and make a decent living for myself. Problem is, I'll be away for quite a while for the first year before I'm able to land something regional or local and it'll be hard for her to get acclimated by herself in a town where she doesnt know anyone while I'm out. I know its going to take some sacrifice, but that's why I was thinking about paying my own way thru CDL school and trying to find a company who will take me straight from school that will allow me to start off regional where I can get more at home time for at least the first year while we get settled in. Is that something that you think is possible? Prime would put you on Southeast regional as a newbie. Schneider will too. I know primes is FL to NC and I think as far west as LA and I think every other weekend home for two days. My friend at Schneider lives in Atlanta and home every weekend. Thanks for the info Rainy! The move is a mutual decision between my wife and I. We travel to Tampa frequently and love the area. We have a few friends but she'll still be by herself. She has some jobs lined up as she's a professional and will have no problem landing a high paying job right away. Maybe what I'll do is push back my school start date for a few weeks while we get settled in rather than getting to Tampa and starting school right away. I have about 3 weeks before I make my final decision. Would you recommend paying your way thru CDL school so that you can keep your options open and aren't contracted to a company for x amount of months? Or would you still attend a company sponsored CDL program? You still have plenty of time available on your logbook to turn quite a few more miles if you can get dispatch to hand them over. If you're staying out 5 - 6 weeks at a time you should be averaging right at 3,000 miles per week when you're running. Even with the time off you should be able to get in the range of 12,000 miles per month. Make sure you make all of your appointments on time, squeeze every minute you can out of that logbook, and keep lobbying dispatch for more miles. Let em know that 2,500 per week isn't enough anymore with the experience and performance you've shown to date. In fact, since Stevens does pay less per mile than a lot of companies I would let them know in the most professional and genuine way that they're putting you in a spot where you're almost going to have to leave to look for greener pastures once your contract is up if they're not going to pay you more per mile and you're only averaging 2,500 miles per week to boot. You might have to be the squeaky wheel a little bit to get them to ratchet up the miles. Yes they do pay much less than other company sponser programs. For example; Prime pays $700/wk for training pay vs $350 that Stevens pays. They start you with 40cpm vs 26cpm that Stevens pays. I have a school start date and a prehire from Stevens but nothing is set in stone. I will be doing some more research in the upcoming weeks before signing on for anything. I've heard good things about ST training and equipment, but for a man with bills and resonsibilites, they're pay rate doesnt look like its going to cut it for me. After watching some independent reviews by current Stevens drivers, one guy stated that their advertised yearly salary isnt really accurate. He stated that if you're looking clear even 40k/year you'd have to run about 3 months straight at a time. He mentioned how if you're looking to get home every 3-4 weeks, you'll get shorter routes with less mileage. Any truth to this from your experience? Thanks for the advice. I'm still weighing my options and have till first week of January to make a decision. I will continue to do research to make sure Stevens is the right choice for me. What concerned me is the low cpm and lower than average training pay. Which means i can go 3+ months before I start seeing somewhat decent money coming in. Flew down to Tampa and enrolled in Tampa Truck Driving School. In order for the school to take me I had to have a prehire from one of the affiliated companies that they work with. Since I have a squeaky clean backround and driving history my recruiter told me that I qualify for Stevens. I got on the phone with Stevens while they ran my criminal and driving record and was told that i was all clear and "Welcome Aboard". I have to go in to get my physical and drug test and so long as all is clear I start school on 1/9. School is 3 weeks and upon graduation I go out to Dallas Texas for orientation at Stevens. If anyone has any knowledge or feedback on the company I'd greatly appreciate it. I understand, what is the next step after that? I asked the recruiter what documentation do I need to bring and he told me just my drivers license and s.s card. What can I expect when I meet with him next week? Well in my case, if the school accepts me then I'll be living in Tampa upon start date. My fiancé will remain in NYC until I'm done with schooling and hired by a company. Good Luck! I fly down on Dec 1st to meet with my recruiter. If all sounds and goes well, I'll be attending. While I understand that no school can GUARANTEE a hire, this school doesnt even accept you until you're pre-hired by one of their affiliated trucking companies. With us you can start with less than $200 (DOT Physical, Drug Screen, and CDL Licence) out of pocket! Once you have been pre-hired by one of our approved trucking companies, we will finance your tuition with NO Credit Check and NO Co-Signors! Although its a ways from you, there's a school called Tampa Truck Driving School. The way it works is...you come in and so long as you meet all their requirements, you choose the company you'd like to work for and you're basically hired pending you obtaining your CDL. No upfront costs other than a few hundred bucks for dmv and testing fees. Upon hire you start paying back the school after 60 days of employment. I like this as they're taking all the risk and investing in you rather than having to pay upfront and hope you're able to land something straight out of school. I'm currently debating on whether to stay in NYC and attend a school here or relocate to Tampa and enroll in that school as that's were me and my fiancé plan on making a move to next year anyway. CDL Sponser Companies hiring from the NYC area? Weird thing is, Roehl has a northeast regional fleet yet when I punched in my zip it told me that I'm outside of their hiring area.